This substance is the world’s most popular drug, slowly but surely stealing the health and peace of mind of those who fall under its power. Users are drawn to it for the short-term pleasure hit and ‘high’ it brings. When a crashing low inevitably follows, they typically reach straight for another fix. Many addicts are so in its thrall that they consume this drug every few hours. But, as is the very nature of addiction, most are in complete denial about the hold it has over them – this despite the fact that if they were to go without it for even a single day they would be suffering classic withdrawal symptoms including headaches, extreme irritability, mood swings, and in some cases even angry outbursts and panic attacks. Research has established that this drug has many negative effects on the brain and it has even been linked with criminal behaviour in several scientific studies. However, I am not talking about an illegal drug here. I am talking about refined sugar. You may be surprised to see sugar referred to as a drug. After all, it is as socially acceptable as it gets and it is everywhere, including in foods marketed specifically at children – even infant formula and baby food. But, as I’ll show in this article, refined sugar has many characteristics in common with other mind-altering drugs and few, if any, that qualify it to be called a food. 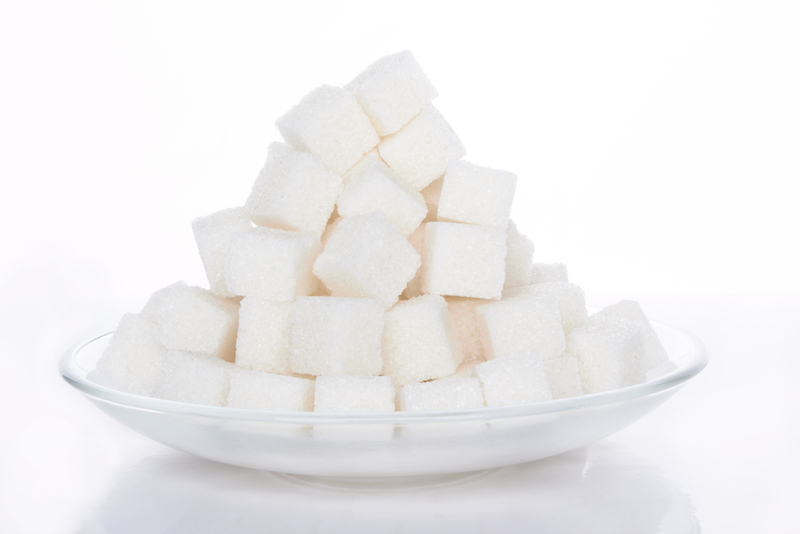 We all know that sugar causes tooth decay and diabetes, but that’s just the tip of the iceberg. Few realise that sugar also weakens our bones, ages our skin, damages our liver and all of our other organs, and wreaks havoc with every system of the body – most notably the nervous, digestive, endocrine, circulatory and immune systems. What is even less widely understood is that it can cause anxiety, depression, brain fog, mood swings and, in those especially sensitive to its effects, even a state of intoxication, erratic behaviour and/or violent outbursts. And just like any other addictive drug, if taken regularly, in sufficient quantity and long term, its effects on physical, mental, emotional and spiritual health are eventually devastating. Back in 1965, George Oshawa, founder of the macrobiotic diet, wrote that, “Sugar is without question the number one murderer in the history of humanity – much more lethal than opium or radioactive atomic fall-out”. All of this may sound extreme, but likening sugar to tobacco is actually one of the tamer drug analogies that has been drawn. Comparisons are also increasingly being made with cocaine, and there is scientific evidence to back it up. Studies have shown that refined sugar stimulates the same part of the brain cocaine does – for example, research at Princeton University in 2008, led by neuroscientist Bart Hoebel, found that when rats were allowed to binge on sugar for a month, the neurochemical changes in their brains were the same as those seen in the brains of cocaine addicts. The rats also showed other hallmarks of addiction, including cravings and withdrawal symptoms. A gateway drug is a drug that predisposes the user to substance addiction and leads to the use of harder drugs down the line. Refined sugar is the ultimate gateway drug, as tragically most Western children are regularly consuming massive, mind-altering hits of it by the age of five, and in many cases by the age of one. Sugar not only stimulates the same reward centres in the brain as other addictive drugs, but is often explicitly given to children as a reward by well-meaning adults. It is also commonly doled out to calm and comfort, so it’s hardly surprising that many children are unconsciously using sugar to deal with the pain in their world before they’ve even learned to tie their laces. A single can of soft drink can contain up to 12 teaspoons of sugar, and a paper published in early 2010 in Public Library of Science journal PLoS ONE asked whether there was a link between consumption of these drinks in childhood and later addiction to harder drugs. In the introduction the authors wrote: “A sweet taste produces a sensation of intense reward that, in certain circumstances, exceeds those associated with drugs of abuse. Studies suggest that sugar overconsumption may produce neurobiological and behavioral alterations resembling drug addiction. Specifically, the intake of sugar or sweetened foods may elicit bingeing, escalation of intake, sensitisation, cross-sensitisation to psychostimulants and opioids, and even withdrawal symptoms. Until very recently in our evolutionary history, refined sugar, also known as sucrose, simply did not exist. Our only ‘sweets’ were fresh fruits containing natural sugar packaged up with fibre, water, enzymes, amino acids, vitamins, minerals and numerous phytonutrients. The first sugar refineries started to pop up in Europe in the 1500s and by 1700, the average person in the Western world was consuming about 4 pounds of sugar per year. By 1800, this had increased to 18 pounds per year and it was during this century that the adverse effects of sugar on health were first written about. By 1900, average intake had shot up to 90 pounds per year, and by 2009, it was estimated that more than 50 per cent of Americans were consuming 150 to 180 pounds of refined sugar per year (some of it in the form of an even newer invention: high-fructose corn syrup), with other Western countries not far behind in their consumption. The average British child now consumes 200 litres of soft drinks a year and gets 16 to 17 per cent of their daily calories from refined sugar. The maximum recommended by experts is 10 per cent – even this being, let us not forget, highly unnatural and non-ideal. Our bodies are designed to consume whole foods, in their natural state. As a processed non-food, refined sugar is a manmade substance that really has no place in the human body – therefore ideal intake, from a health point of view, would be zero. So what, exactly, is this substance that humanity is consuming in such quantity? Refined sugar is produced by taking a natural food which contains a high percentage of sugar – usually sugar cane or sugar beets – and then removing all other elements of that food until only the sugar remains. To achieve this, the juice is pressed out of the sugar cane or beets, then heated to boiling point, with chemicals added to remove impurities. Next, it is pumped into evaporation tanks to concentrate it into a thick syrup, which is further heated to remove more water until it starts to crystallise. To separate the crystals from the syrup, the mix is placed in a centrifuge machine where any remaining residues (such as molasses) are spun away. Incredibly, what’s left at this stage of processing is known in the industry as ‘raw sugar’. From here it goes to a refinery where it is (among other things) dissolved and treated with chemicals. It is also bleached white, and bone char is often used in this process, so sugar can’t be considered vegan. The effects on human health of the chemicals used in the refining and bleaching of sugar are not known. But what is known is that the mechanical and chemical processing refined sugar undergoes strips out all nutrients, including amino acids, enzymes, vitamins, minerals and phytonutrients. Sugar cane has a sugar content of 10 to 15 per cent and also contains abundant water, fibre, enzymes and nutrients. Refined sugar? 99.5 per cent sucrose and 0.5 per cent water. But refined sugar does worse than contribute no nutrients since the effect of consuming it is actually a net nutrient loss, as is the case for all ‘empty’ foods: the body can’t digest them and eliminate the wastes without pulling precious vitamins and minerals from its stores. Also, sugar is highly acidic in the system and the correct acid/alkaline balance of our blood is so crucial that the body will take extreme measures to maintain it, even drawing the alkaline mineral calcium from the bones and teeth to restore it if necessary – with predictable effects, over time, on the health and strength of both. Sugar also makes the blood very thick and sticky, inhibiting blood flow into the minute capillaries that supply our cells with vital nutrients, which itself affects the health of bones and teeth, as well as of the circulatory system – it contributes to arterial sclerosis and coronary heart disease – and the brain. The havoc that sugar wreaks starts in the womb – excess sugar during pregnancy increases the risk of neural tube defects and can also cause low birth weight babies. In addition to all of this, refined sugar is the leading cause of the worldwide diabetes and obesity epidemics, feeds cancer cells, weakens eyesight, damages every organ of the body, interferes with the functioning of every system of the body, accelerates every aspect of the aging process and can even impair the structure of DNA. We’re all aware that refined sugar is very bad for our physical health, even if we don’t know the finer details of why. And most parents could tell you all about the noticeable effects sugar has on their children’s mood and behaviour. Sugar has been long been linked with crankiness and mood swings in children, and even with learning disorders and attention deficit hyperactivity disorder (ADHD). But few people are aware of the serious long-term effects of habitual sugar abuse on mental and emotional health – and that is because it is still not widely known that the abnormal brain chemistry leading to mental and emotional disorders is, in many cases, caused or contributed to by poor nutrition and the resulting bodily imbalances. However, the scientific evidence to prove this is stacking up. For example, the prominent psychiatric researcher Malcolm Peel conducted an analysis of the relationship between diet and mental illness and reported his preliminary findings last year: a definite link between sugar intake and the risk of developing either schizophrenia or depression. Consuming excess sugar leads to a massive release of the hormone insulin which sweeps this excess out of the blood, causing the blood sugar level to fall rapidly. Balanced blood sugar is essential for balanced brain chemistry, but most people today exist on a blood sugar rollercoaster. The short-term effects of this on mood – such as irritability, poor concentration and anxiety – have been known about for some time, but we are only just beginning to understand the potential long-term effects on mental health. But we do know that as well as being a contributing factor in depression and schizophrenia, sustained habitual sugar abuse also plays a role in the brain changes seen in patients with senile dementia. As Holford also writes, once blood sugar levels go above the maximum threshold, which is what happens in diabetes, glucose starts to damage proteins in the brain, causing cell membranes to, “get thicker and ‘gunked up’, slowing down brain communication”. When this continues unchecked, it leads to the damaged brain tissue seen in Alzheimer’s patients (though this damage can have other causes, besides sugar). As well as insulin, another hormone affected by sugar consumption is the stress hormone adrenalin: a high-sugar diet can increase production of this by up to four times, with obvious effects on mental and emotional health. Sugar also affects brain-derived neutrophic factor (BDNF), a protein essential for the health of neurons – nerve cells that transmit signals to and from the brain – and for the growth of new connections between neurons. Sugar is known to suppress BDNF, and BDNF levels tend to be critically low in patients with depression, schizophrenia and Alzheimer’s. Another brain abnormality linked with these three disorders is inflammation, and sugar consumption is known to trigger a cascade of chemical reactions in the body that promote chronic inflammation. Additionally, and as already established, when we eat sugar it doesn’t only not give us any nutrients, but its digestion actually steals nutrients from the body. This includes nutrients that are essential for mental and emotional health. For example, we need adequate B vitamins in order to feel calm and happy, but sugar burns through these at a fantastic rate. It also robs us of the very mineral we need to deal with the catastrophic effect it has on our blood sugar: chromium, which is vital for keeping blood sugar stable because insulin, the hormone which clears excess glucose from the blood, can’t do its job properly without it. Refined foods negatively affect our nutrient levels in another way, too – the more we fill up on these, the fewer whole foods we eat. 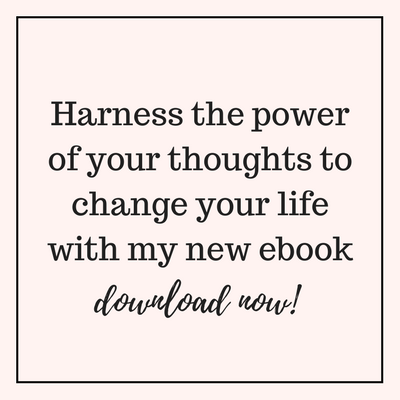 Refined foods also cause an acidic condition in the body which clouds our ability to think clearly and to get in touch with what we really feel. When we live life in this state of dulled consciousness, we can never know our true potential nor even discover who we really are. Sugar is bad for all of us – no exceptions. But in sensitive individuals, the effects on mental health are devastating and can include not only the disorders already mentioned, but also erratic behaviour and/or violent outbursts – in some cases so extreme as to be both dangerous and criminal. This means that sugar shares yet another characteristic with other recreational drugs: it is a serious social problem. In several studies involving young offenders, marked improvements in behaviour and disposition were observed when refined sugar and other empty foods were removed from the diets of the subjects. The same has been found in studies of both (adult) prison inmates and psychiatric patients. But when a child or adult exhibiting symptoms directly caused by their refined sugar consumption (and addiction) visits a doctor or psychiatrist, they are generally placed on antidepressants or other toxic psychoactive drugs without the root cause ever being addressed. A psychoactive substance is any that crosses the blood-brain barrier and causes changes in perception, mood, consciousness, cognition and/or behaviour. But the shameful truth is that many psychoactive medicines – including the most widely prescribed antidepressants – don’t actually work any better than placebos. So where does all of this leave us when we are making decisions about our own diet and that of our children? As established here, refined sugar is a manmade substance which has no place in the human diet, and the ideal intake of it is zero. But refined sugar is also everywhere, often in the foods lovingly prepared for us and put in front of us by our family and dearest friends, so this isn’t always easy. Many people can handle a little sugar every now and again without overt symptoms. But for anyone who is sensitive to it, and/or has been addicted to it, complete abstinence may be the one road to true health and happiness – as is the case with all other drugs. We’re all familiar with the cautionary tale of the recovered alcoholic who decides they can handle “just one” and from there descends into a drinking binge lasting days or weeks. It’s also important to realise that as miserable as sugar addiction is – leading, as it so often does, to a lifetime of compulsive eating, obesity, diabetes, brain fog and depression – for some, sugar is the gateway drug that leads the way to a dependency on alcohol or illegal drugs, both of which have even more devastating effects on the addicted and all who care about them. So if you are either sensitive to, or have been addicted to, sugar – or if you’re simply committed to optimum health – complete abstinence from this dangerous substance is well worth the effort. It may sometimes be challenging and it will sometimes be inconvenient, but this is a small price to pay when health, wellbeing, peace of mind and even sanity are at stake. If you or your child is addicted to sugar, or simply consuming it regularly, the first thing to bear in mind is that, like any drug, sugar exerts both a physical and an emotional hold over users. The physical component is easily addressed by removing refined sugar from your diet. That’s not to say the first few days will be easy – withdrawal symptoms including negativity, irritability, mood swings, depression, anger and intense cravings are common. You may find that you need to kick white flour and all other empty carbs at the same time as you kick sugar – even though these don’t have the same effect on the reward centres of the brain, they do behave very like refined sugar in the body, causing the same acidic state (and accompanying scattered thinking) and the same leaching of nutrients. Once you’re through the withdrawal period, as long as you are basing your diet around natural whole foods, and eating enough, your body will no longer be craving sugar. 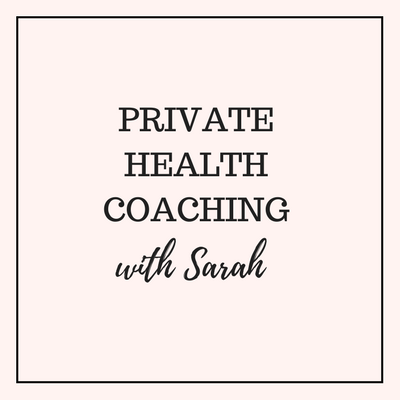 But your mind might be, and if the reasons that led you to start abusing sugar in the first place are deep and complex, you may need the help and guidance of a trained counsellor or therapist in order to unravel these feelings and remove the need for sugar. Just because refined sugar is no longer on the menu for you doesn’t mean you can never again enjoy another sweet treat. However, you won’t want to go anywhere near artificial sweeteners such as aspartame (the best-known brand names include NutraSweet, Canderel and Equal), saccharin (Sweet ‘N Low) or sucralose (Splenda). In my opinion these are even worse than sugar and I could write an article just as long as this one on their alarming attributes and effects. Fruit tastes delightfully sweet once your taste buds are no longer being over-stimulated by manmade sucrose. And for those times when you need a sweetener for use in a recipe, reach for brown rice syrup, maple syrup or coconut sugar. I definitely recommend exercising moderation here, as these too are processed, concentrated and far from any food found in nature. But they are less processed than refined sugar, at least bring some nutrients to the party, and don’t have the same profound unbalancing effect on brain chemistry. For a more natural choice still, make your own raw date syrup. This won’t work in all recipes, but goes beautifully in many raw ones. Soak organic dates in water for several hours, then discard the water and blend. This is a sweetener with a subtle toffee flavour (once your taste buds are calibrated to the taste of natural, whole foods, that is) yet is 100 per cent whole and natural, and loaded with fibre, vitamins and minerals. Is agave syrup a healthy alternative to sugar? Previous articleWhat’s the single best thing we can do for our health? Is the problem only sucrose or even refined fructose or glucose can have the same devastating effects? Another thing, you never mention honey, both as one of the sweets known to man in the ancient world for centuries (or millenia) and as a valid alternative to the partially refined syrups. Pity people like my mom are allergic to it. For my one-year-old I also buy cookies and oat bars sweetened with concentrated grape or apple juice. Are these valid in your view? I enjoy them a lot myself too, so perhaps that could be an easy way to start my desintoxication program 😉 He also loves a fruit bar made with dates and bananas, or dates and apple. All are part of the Organix Goodies brand. Again, for my son, I buy concentrated fruit juices (pear, apple, grape, with addition of small amounts of other ones) to dilute in water. They don’t taste like a fresh juice, but are nice as I can have them as diluted as I want, they keep well and are without added sugars. Many thanks for these great questions! Just a quick note to say I have limited internet access for the next few days, but will reply to this as soon as I can. dried fruit, fruit juice, honey, maple syrup and fructose are all no better than eating sugar alone!! 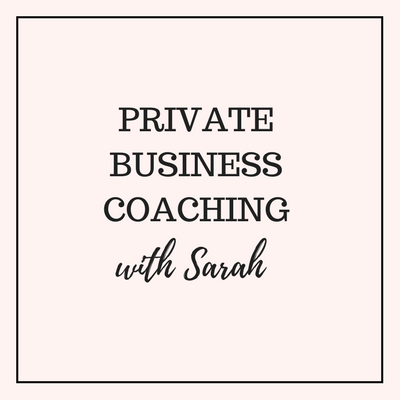 I love this article Sarah and coming right after the festive season it is a very timely reminder. This is the long version, which explains fructose metabolism in the liver in some detail. There are shorter versions on YouTube too. Yes, I have seen that video – it’s a valuable resource – thank you for posting it here. Great article. The research coming out on the impact on emotional and mental wellbeing of consuming a high sugar diet is interesting and exciting. The only point I wouldn’t be in agreement with you on is your recommendation of using agave syrup or brown rice syrup. Agave has an underserved healthy image and places a huge burden on the liver as its so high in fructose, even more detrimental to health than sucrose. Brown rice syrup sounds virtuous but is a poor nutritional choice. There are better alternatives such as coconut palm sugar. Thanks for sharing.